People compare new rugs to antique carpets all the time.. Antique rugs have a beauty that many consider difficult to match. 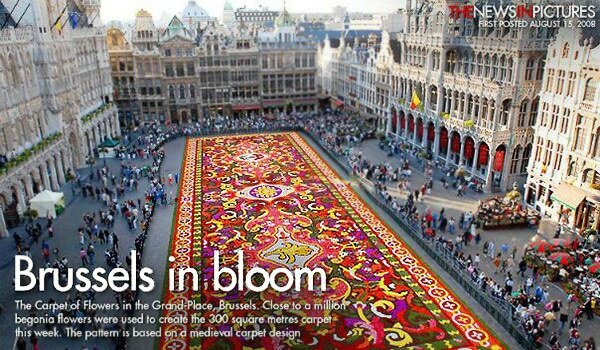 The designs reflect centuries of both cottage craft and highly developed artistic traditions. Antique Oriental rugs are hand-knotted in unique patterns that intertwine and play on color, texture and motif. The materials, whether silk, cotton, wool or something else, are generally of high quality, durable and resilient. Carpet dyes are made from natural materials available to weavers in their home environments, so colors are unique from rug to rug and region to region. As they age and are used, antique rugs develop a sheen and luster that enhance the color palette and character of the piece. Because antique rugs are rare, they tend to be expensive. New rugs are less than 30 years old. Modern contemporary new rugs often build on or incorporate the traditions of antique rugs, using motifs, patterns and colors that are associated with a particular type of rug. Over time, these carpets also develop their own patina and character. Though not always the case, many of the new rugs tend to be less expensive than antique rugs. Many new rugs are the products of innovative artists and weavers. Spectacular pieces are being made by Scandinavian rug weavers, who experiment with texture, wools, color and design. Moroccan workshops are producing rugs with bold yet simple designs that blend with interiors of all types. The weaving traditions of Persian rugs have been kept alive through the workshops of innovative master weavers such as Fathollah Habibian. Habibian has built on the timeless beauty of the antiques and created the spectacular modern Persian carpet genre of modern Persian Nain rugs. If you are trying to decide between old and new, the most important consideration is how a rug affects you. Each rug, whether antique or new, has a character. Particular nuances of color, motif or texture in one carpet may be more appealing to you than another. The age or pedigree of a carpet is not as important as how it appeals to you and how well it can be integrated into your living or working space. Each rug can be looked at as a piece of art. Try to explore what attracts you to a carpet and learn more about what elements make a piece unique or stand out. Seek out reputable carpet experts and use their expertise and knowledge to help expand your own. You will be able to select rugs that complement your taste, set a mood and give vibrancy and cohesion to your living space. Buying Modern Rugs vs Antique– An eye catching area rug is the perfect addition to any space. An important question to consider while searching for the perfect piece is whether to buy a modern contemporary rug vs a vintage antique carpet. There are many factors to consider, including the cost, which, for most people, is one of the most important things to consider when making a purchase of this nature. Considering the cost alone, antique rugs may seem like the expensive choice but the truth may just surprise you. The prices of antique and vintage rugs have dropped significantly in recent years. 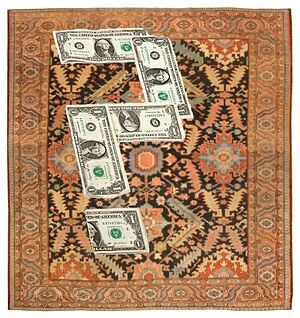 On the flip side, the prices for many of the good productions of contemporary modern rugs have escalated tremendously. While this may seem counter intuitive, there are reasons why the antique rugs may be less expensive than the newly made rugs of today. Some of the factors that may contribute to the escalating prices of newly made rugs are things like fuel costs, labor costs, taxes, costs of materials, paying the manufacturer, paying the wholesaler, paying the retailer and so forth. So once you start adding up the production costs and the number of hands it goes through, you end up with a product that is made today but costs more than buying an antique rug. Antique rugs, due to the history associated with them, will always have some level of intrinsic value. The opposite is true for modern rugs, which lose the majority of their value once you take them home. An antique rug will hold it’s value over time due to the nature of the rug itself. This makes an antique rug a better choice in the long-run because of the rug’s intrinsic value. Vintage, historic, and antique objects will always hold a certain level of value simply due to the fact that they have been preserved as long as they have. The history associated with antique rugs is what makes them truly special. 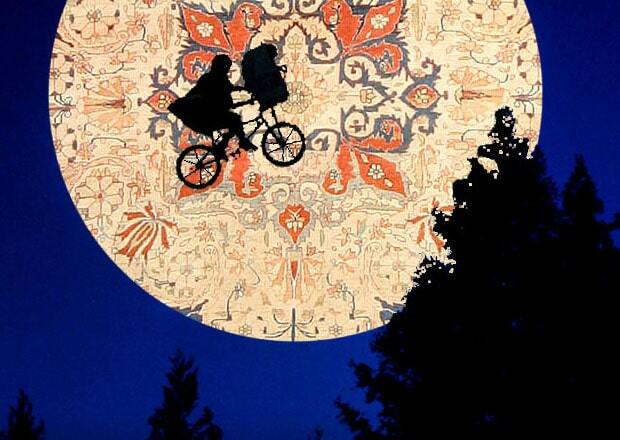 Every antique rug has a unique story, and this is apparent just by looking at the rug. It is obvious that the antiques were woven with a lot of time and care. Any rug can accent a room. That said, an antique rug can be a true enhancement (not merely an addition) as well as a great conversation starter. These rugs have a monetary value, due to their status as antique, but the sentimental and historic value is just as important. An antique rug is constantly telling a story, and bringing an antique rug into your home continues the story and life of that rug. Though some modern rugs may be beautiful to look at, they will never have the depth, patina, soul or feel of a true antique. 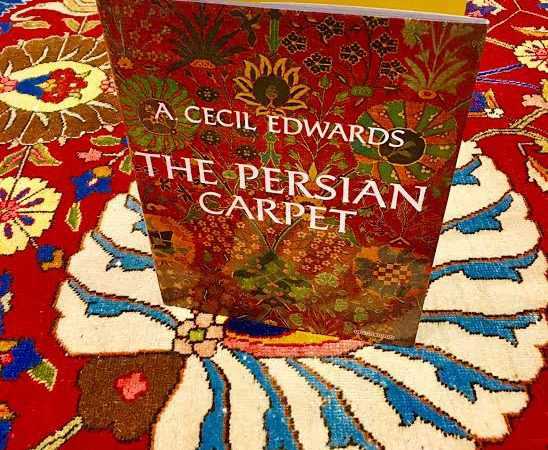 The stories of these rugs are visible in the way these rugs were made, and it is extremely difficult, if not impossible, for modern rugs to reproduce that. If you are looking to buy a beautiful rug and don’t have too much to spend then not to worry! 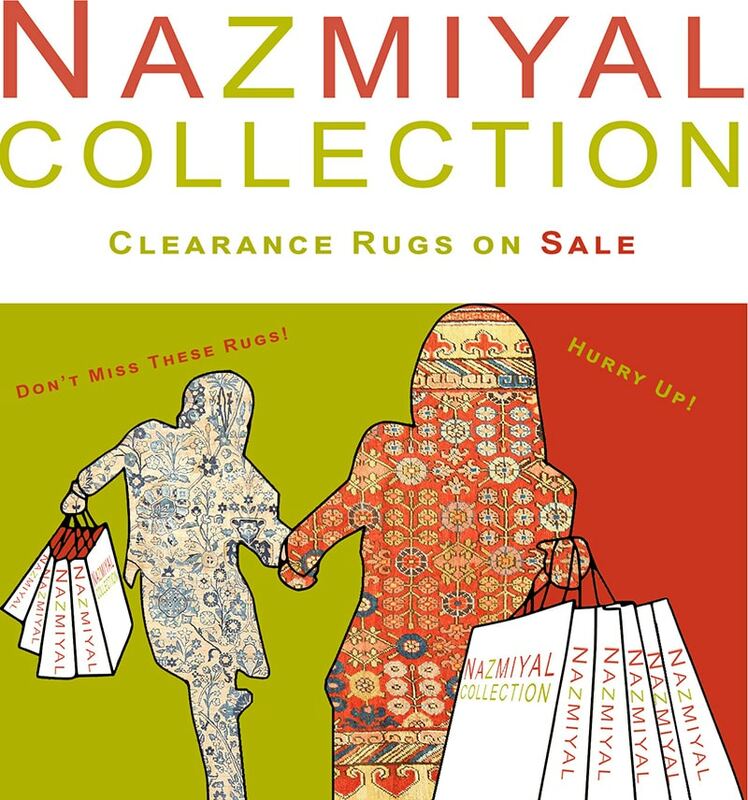 We at Nazmiyal have just launched our clearance rugs on sale section which will have even bigger discounts than our rugs on sale. Price aside, buying modern rugs may complete the look of a room or home, but buying an antique rug will truly bring that room and home’s interior design to life. This rug blog about buying modern rugs vs antique rugs was published by Nazmiyal. Develop your office interior design project using the three tips of balance, branding, and … Create an office for interior designers that is functional and appealing.